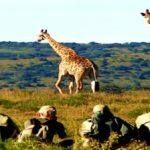 If you have a passion for wildlife, and want to turn that into a career, then our FGASA Level 1 Game Ranger course is a must. 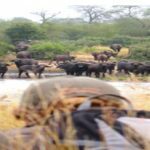 Featuring intense theoretical and practical training, it provides the best experience for those looking to pursue a career in field guiding. 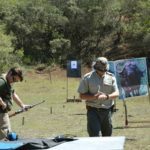 It also serves as an intensive course for those looking to quickly gain the necessary skills and knowledge to be a game ranger. The course itself lasts ten weeks, at the end of which time competent students will receive an FGASA level 1 (NQF 2) qualification. The course is made up of several elements, including SASSETA, weapon handling, First Aid, 4X4 driving, snake handling and wine tasting. 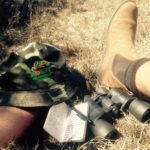 These will all provide participants with a head-start on all the incumbent qualifications required to work as a field guide, and eventually, a game ranger. 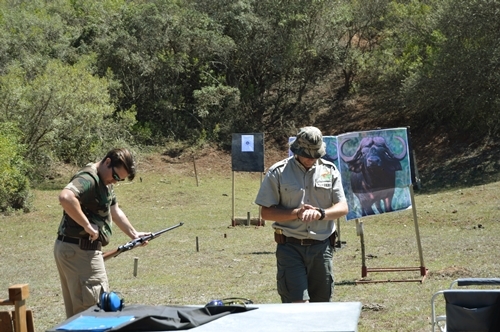 Project Type: Game Ranger Training, Conservation Project. Location: Eastern Cape, South Africa. Pick Up Point: Port Elizabeth Airport. 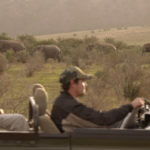 Accommodation: Purpose built volunteer accommodation situated on the Game Reserve. Meals: Three meals per day included, semi participation. Age Range: 18 Plus (Must be over 21 to complete Driving element of Course). This 10 week course focuses on coaching and developing the learners with the necessary guiding skills to be competent to enter the guiding industry at an introductory level. Each week focuses on a specific set of outcomes and subjects which is evaluated at the end of each week. 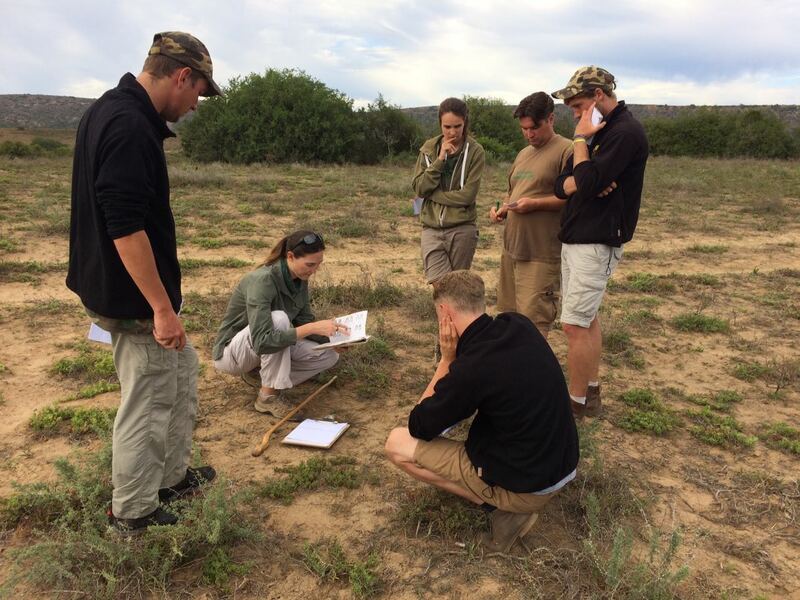 Under the guidance of experienced instructors, participants in the course will be trained in and given exposure to the local flora and fauna in South Africa’s Eastern Cape. Participants must be over the age of 18 years old. 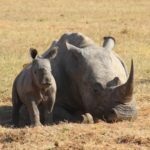 No previous experience is required but you must have a full and valid driver’s license and a passion for animal conservation. It is also vital you be a good communicator, as part of your role as a guide and ranger will be to interact with and pass information onto those you are guiding. 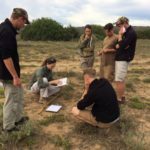 Students will conduct practical excursions onto the reserve and surrounding areas on a near daily basis, which will cover several modules as set out in the FGASA manual. 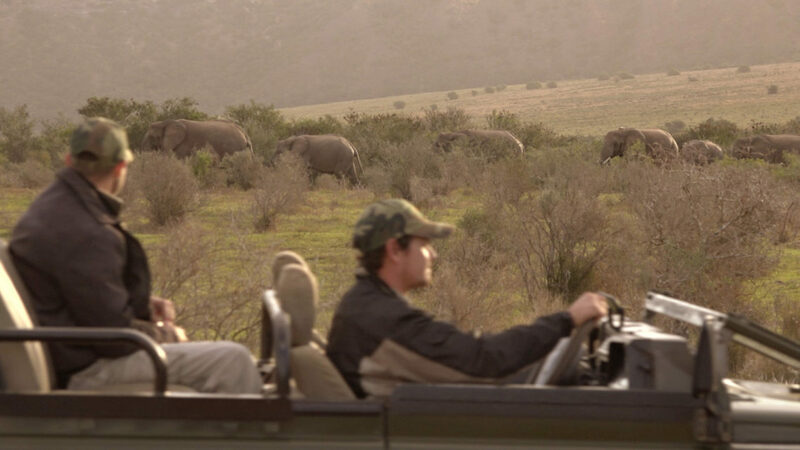 Excursions are conducted on open game-viewing vehicles or as operationally allows, on foot. Lectures are near daily, conducted in both classrooms and outdoors. You are required to take and pass a theory test for FGASA Level 1, the pass rate for which is 75%. Without this pass you will be unable to qualify for the practical assessment needed to attain the full FGASA Level 1 qualification. 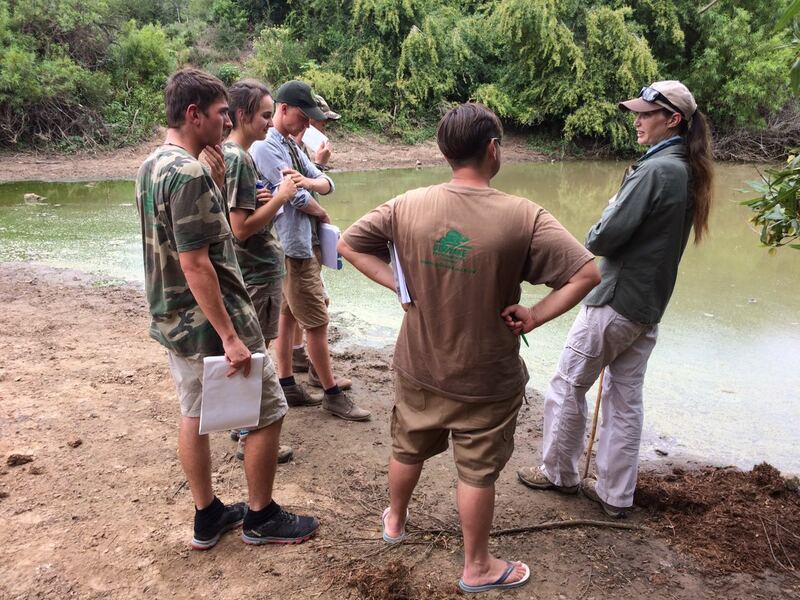 The learners will host real guests visiting the Reserve during their preparation and final practical assessments. This gives the learners a real opportunity to make use of their newly gained knowledge and skills which is difficult to simulate with their peers. This part of the course concludes with a final practical, theoretical and interview assessment. To participate in the course no previous knowledge of nature, wildlife or conservation is required, although would naturally be of benefit to participants. All course participants are required to be older than 18 years of age and be in possession of a valid driver’s license for a manual or stick-shift transmission vehicle. 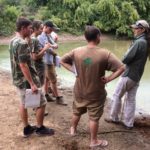 A passion for nature, wildlife, conservation and interest in sharing your knowledge with others, will stand all course participants in good stead. Under current regulations, only persons over the age of 21 years of age will be eligible to qualify for a South African PrDP (Prof. driving permit), is required to legally transport passengers who are members of the public or guest, as a qualified FGASA level 1 Field Guide. Our awesome facility has shared accommodation with two students per room; the rooms have en suite bathrooms and are equipped with furniture, electricity and linen. 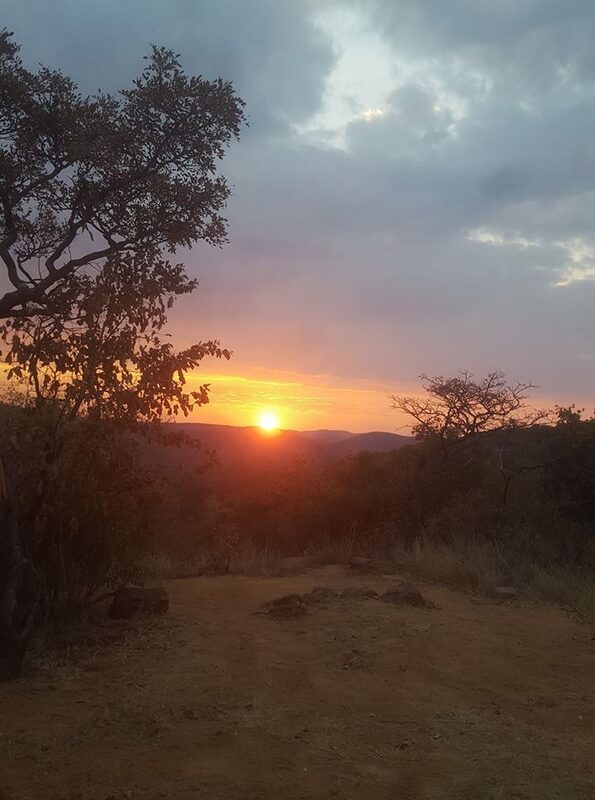 Our stunning rock face rooms, have a great view of Amakhala. They are warm in the winter and cool in the summer – a great place for studying. The main area consists of a comfortable living space including an open plan lounge and kitchen. The lounge opens up to a magnificent veranda overlooking the fertile grass plains surrounded by the beautiful Bushman’s River. Adjacent to the lounge is where the delicious aromas enter from the funky kitchen. Students do their own cooking most of the times and we encourage, interesting dishes and team work in the kitchen. The camp also hosts a laundry where dust, mud, sweat and grass seeds can be removed from your uniform after a busy day in the bush. The Amakhala Game Reserve located in the malaria free Eastern Cape of South Africa began in 1999 as a joint conservation venture between the owners of six lodges who are direct descendants of the orignal Frontier settlers some five generations ago and arrived here with the British settlers of 1820. The families originally settled to farm sheep and cattle on the wild and often hostile Zuurveld. 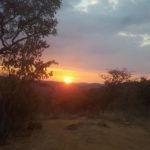 Amakhala Game Reserve is located in the Eastern Cape Province of South Africa and is undoubtedly one of the most beautiful and interesting regions on planet Earth. 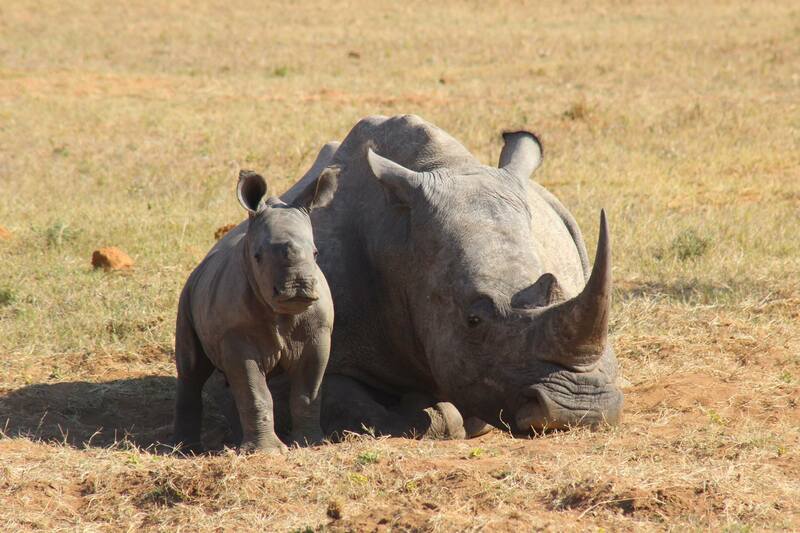 The Eastern Cape’s biodiversity is unmatched in Southern-Africa. 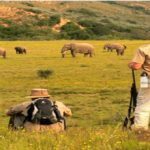 The province covers 5 bio geographic regions of the seven found worldwide, spanning from the semi-desert Karoo in the interior to the lush green forests of the Garden Route. £200 deposit to secure placement at time of booking, final balance due 8 weeks prior to departure. – Pre departure support and documentation. – Programme fee and contribution. – Return Transfers from Port Elizabeth Airport. – Accommodation for duration of stay. – All meals (Semi Participation). – All transportation on project. – 24 hour in country support. – Laundry service once weekly. – 3 meals per day, any additional snacks are to be provided by the learner. – Access to tea, coffee and juice. – Wine tasting and hospitality educational. – FGASA practical assessment (NQF2). – Training, Theoretical lectures and practical training. – First Aid level 1. – FGASA weapon handling assessments (BRH). – One year subscription with FGASA. – Limited Internet time for research on presentation topic only. – Any vaccinations as recommended by your GP. – Soft drinks and snacks. – Any additional activities outside of project itinerary. If you have any questions, or if you’d like to find out more about this incredible adventure and create some unforgettable memories, just fill in the form below and one of our team will be in touch as soon as possible.